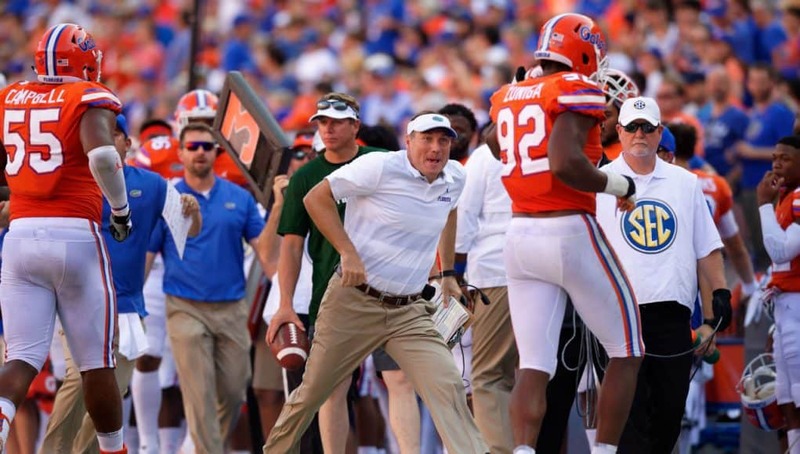 The Gators’ 48-10 win over Colorado State was an odd one numerically. The Rams had three more drives than UF did thanks to a pair of non-offensive touchdowns. Florida was considerably more explosive when it had the ball, so CSU ran 83 plays compared to UF’s 44. The home team had only eight total third down opportunities compared to 20 for the visitors. It may have been weird in some ways, but Dan Mullen will take a 38-point win with great special teams play every single time. Let’s pop the hood at take a look at what the advanced stats have to say beneath the surface peculiarities. This review is based on Bill Connelly’s Five Factors of winning, and sacks are counted as pass plays. Unless otherwise specified, the figures below do not include anything past when the game permanently went into garbage time by the Football Outsiders definition, which occurred when Freddie Swain took a punt to the house early in the fourth quarter. Everyone has a different definition for what counts as an “explosive play”, but I go with runs of at least ten yards and passes of at least 20 yards. For the first time in the Mullen era, rushing defined a game. With the passing game a bit on the fritz, the run game came up big with some plays. Jordan Scarlett finally broke a couple, while Feleipe Franks and Lamical Perine each had a longer run. This doesn’t even include Dameon Pierce’s 68-yard rumble, as that happened in garbage time. 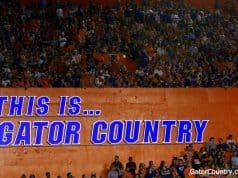 Meanwhile, Florida essentially silenced the Colorado State ground attack. The Rams had a hard time just staying in positive yardage during the game, much less got any longer gains. The main measure here is success rate. Watch this short video if you need to brush up on it. Average in success rate is in the 42-44% kind of range. Florida’s run game was the only phase in this one that really got going. Some of that was because CSU has a dreadful defensive front against the run. Colorado State really shouldn’t have had such a disparity in plays run, except Florida’s defense extended some drives through flags. Holding the opponent to below 30% success rate in both the run and pass during meaningful time is impressive though, especially since that opponent at least isn’t horrible at moving the ball through the air. The fact that the Rams rated lowly in both explosiveness and efficiency with the pass before garbage time seems wrong compared to how it felt during the game. I will need to figure this one out in film study this week. Also, UF’s defense has yet to defend a red zone play outside of garbage time. Kentucky never ran a play inside the Gator 20-yard-line, while both CSU teams failed to get into the red zone before the game was out of hand. CSU only ran four plays in the fourth quarter, none of them success plays, before garbage time, so I wiped that frame from the table. Florida is officially a team that starts slowly on offense. The difference in efficiency between the first and second quarter is much more striking in the Charleston Southern and Colorado State games, but they were sharper in the second against Kentucky too. Adjust your viewing expectations accordingly. This was not a beautiful passing clinic. Carta-Samuels may have felt a bit better than Franks thanks to a higher completion percentage and yards per completion rate, but he was less efficient. This is a lot of mouths to feed with not that many plays run in the game. Jefferson and Cleveland stood out above the rest of their teammates in targets in the first two weeks, but they didn’t here. At least there were fewer drops, though flubbed catches from Scarlett and Lewis are now clearly parts of patterns rather than flukes. Mullen finally did something resembling riding a hot hand in the run game. Beginning a drive midway through the third quarter, Perine got five carries among the first six plays. A holding flag stalled out the series and led to a punt, but that was the first time we’ve seen one back get into a groove like that. Scarlett was again down closer to four than five yards per carry absent his 30-yard touchdown, while Toney in the Wildcat seems to only come right after he takes a quick throw. Personally, I’d like to see Toney get the designed quarterback carries in the red zone that Franks got early on. Though Pierce has now passed Franks in yardage, the starting quarterback still leads the team in carries. There was never serious doubt in this one thanks in large part to field position. A pair of big defensive plays along with a nice punt return from Freddie Swain gave the offense three first half drives that began in CSU territory. The offense cashed those in for 13 points, and they later turned another turnover-shortened field into a touchdown after halftime. Colorado State meanwhile stayed backed up much of the game, preventing its inefficient offense from stealing any easy points. A trip inside the 40 is a drive where the team has a first down at the opponent’s 40 or closer or where it scores from further out than that. A red zone trip is a drive with a first down at the opponent’s 20 or closer. The Gators got points from all of their scoring opportunities, though Mullen would probably like to not only see more touchdowns and fewer field goals but more scoring opportunities, period. CSU lost two opportunities to missed field goals, which is a credit to the UF defense that forced those drives to end in kick tries. This table helps show what a difference the new emphasis on special teams can make. Under the last staff, this contest easily could’ve been 20-10 through three quarters given the uneven offensive play. When a team takes all three phases of the game seriously, grind-it-out wins can become blowouts. Franks’s interception was the right throw at the wrong time, as he needed to fire it to Hammond earlier. Beyond that play, Florida owned this category. The Gators corralled three turnovers, including one on special teams when James Houston stripped the punter for Hammond to recover. Blocking a punt is like getting a turnover without the title of “turnover”, while the defensive reserves stayed with it enough late to register two turnovers on downs during garbage time. Colorado State is not very good this year. It’s a mess in the trenches with an unspectacular run game and a penchant for giving up plays through the air. Its own passing offense is the only thing it does that’s moderately good. Florida made the Rams look bad in every way with the possible exception of the passing game. On that level, the Gators did what they needed to do. It wasn’t an effortless win, however, if you just look at offense and defense. 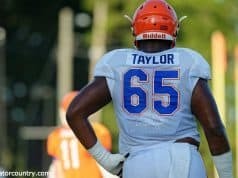 The Gator attack went in fits and starts, and having better athletes who could make some explosive gains papered over that fact a bit. A very low count of plays run — a mere 37 before garbage time, 44 in total — meant that the offense didn’t develop a rhythm for long. Mullen said in his halftime interview on the telecast that Colorado State hit them with some unexpected defensive sets early, and it showed in another slow start. If you count that first quarter as the time before the adjustments, then the Gators only ran 24 pre-garbage time plays after making the adjustments. That’s just not a lot. It never felt like the defense had things completely in hand except when edge rushers were beating the CSU tackles and sacking the quarterback. Even so, the feeling of the defense being out of control may have had more to do with flags than the actual play. Carta-Samuels did complete over 60% of his passes, but his success rate on drop backs was under 30%. Preston Williams did get his, racking up over 100 yards receiving, but he needed 16 targets to get there. This wasn’t a lockdown defensive display, but it neither was it a disaster. Florida still has plenty of things to work on, but this was a nice bounce back game. They didn’t let Kentucky beat them two weeks in a row, and the success on special teams in this one should beget further displays of effort on special teams in the future. The defense earned an acceptable grade, though not top marks, while the generous take on the offense is that it gets an incomplete for having too small a sample size to really adjudicate. 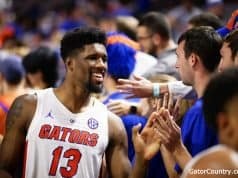 The coaches still need to figure out their player rotations on offense and the defense will dearly miss Marco Wilson all year, but the bottom line is that the Gators won the game by 38 points. Florida is not yet in a place where it can take any five-touchdown wins for granted, much less two in three weeks. This game doesn’t wipe away the sting of last week, but it was a step in the right direction.